I was sent some really luxurious, beautiful hand spun yarn to make something for Inky. 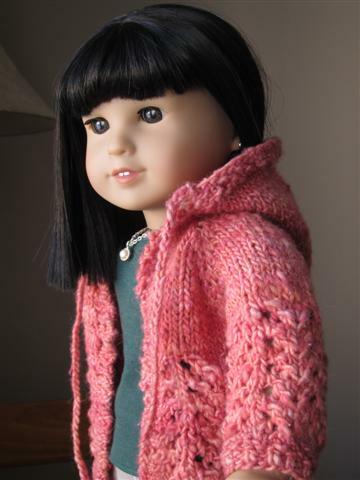 It is a blend of merino wool, baby alpaca and silk. Wow! I wish I could describe how soft it is. It's amazing. This yarn sat on my sewing table for many weeks. I kept looking at it and petting it once in a while. It needed to be used up as much as possible without waste. I was sent a full 50g and a partial 50g. I wasn't sure what to do with it so I did what I usually do and I waited for it to "speak" to me. I had been knitting a hat last week and I got it past the fair isle bit and the seamless joining of two layers when I discovered it was going to be a bit tight. It had to be frogged :( I needed a different project to clear my head over the loss of that work and that is when Inky's yarn spoke to me. Loud and clear. 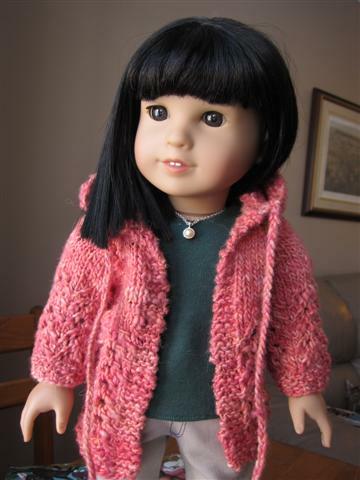 I normally knit doll garments from sock yarn so none of my usual patterns would work for this. I had to make it up as I went. I knit a guage swatch, did a few calculations and came up with this. 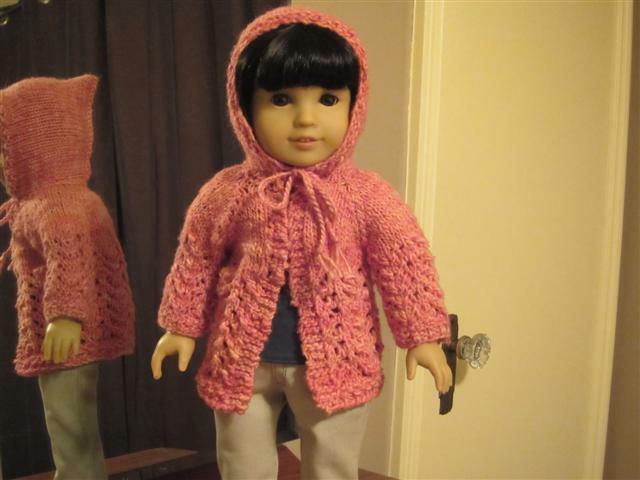 I used nearly every inch of the yarn. Great work Erin. 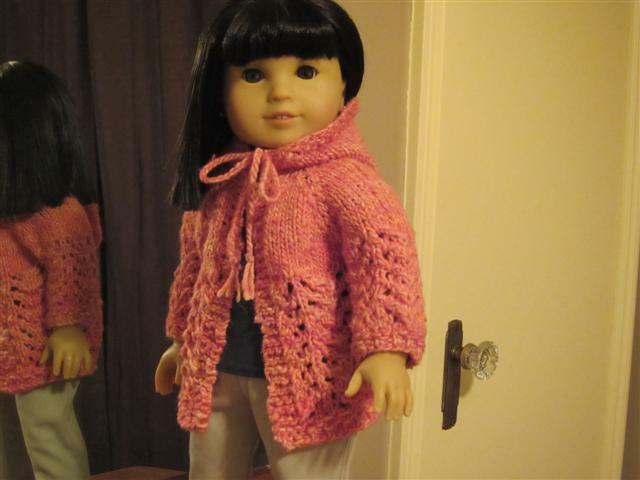 I love the look of the yarn and the weight of it works perfect for that pattern that you designed. That's really cute! How much would you charge for an item like this? Nina, my pricing is very much dependent on many factors. It's hard to say how much a general thing will cost. I like to discuss with my clients and we reach a price or a trade that makes both of us happy. 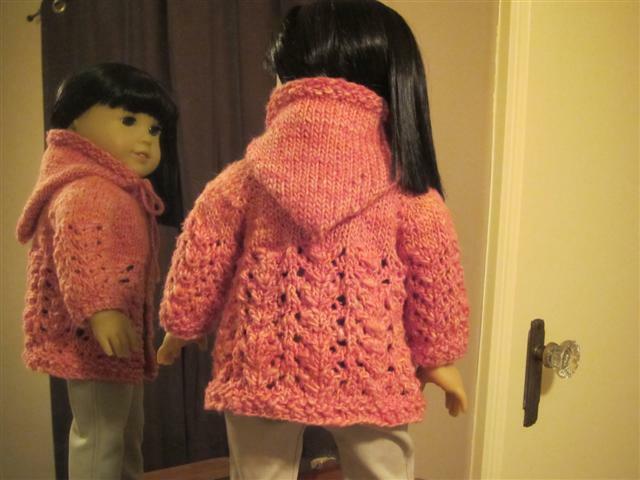 The sweater is part of a trade for Addy's Cape Island dress. A couple of other things were sent along with the sweater.